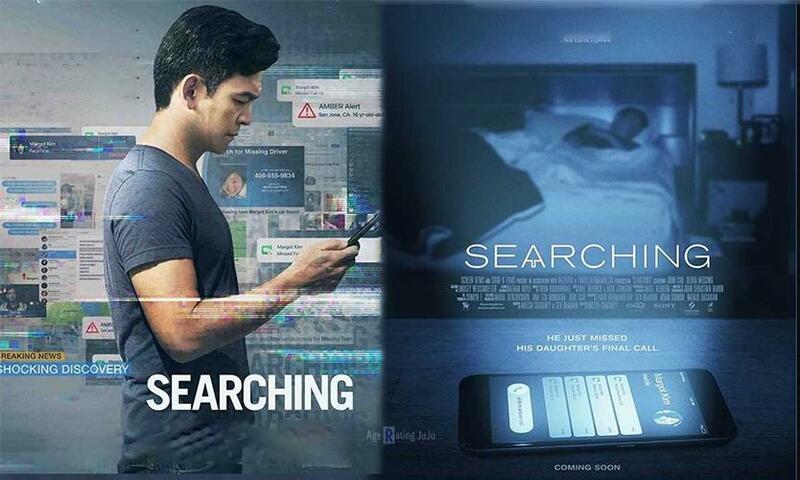 Searching is the story of a father and recent widower, David Kim (John Cho) whose teenage daughter, Margot, suddenly disappears and goes missing. David desperately tries to find his daughter with the assistance of Detective Rosemary Vick (Debra Messing). His search will take him to his daughter’s social media and text messages, and he will discover there was a lot about his daughter that he never knew. This drama is not just a great movie that keeps the suspense high until the very last moment. It is not just well acted and directed. It not just shows the hypocrisy of social media, where the unpopular (in the real life) Margot becomes the beloved friend for all her schoolmates who previously ignored her when she goes missing. Since she is in the news every day, it is cool to show compassion and say “she was my best friend”. No, Searching is not just this. What makes this film really special is that the story is told through the computer contents, iMessage, Gmail, Tumblr, Facetime conversations, surveillance footage and so forth. By doing so, the message that nowadays most people are literally never off their devices and live through them is amplified. Don’t worry, nothing to do with the shaky camera movies like Blair Witch Project or Cloverfield. This movie is a different and fantastic work never seen before and I have the feeling that the storytelling techniques here introduced will be copied by many.